PulpTech is pleased to announce a new Partner, AQUANTIX, an Enterprise Unit of ALBERTA RESEARCH COUNCIL. With AQUANTIX comes two new products, an On-Line Dissolved Solids Analyzer (DSA-100) and a Portable Dissolved Solids Analyzer (DSA-110). The DSA-100 analyzers provide reliable on-line measures of the total, organic and inorganic dissolved solids in industrial process water. 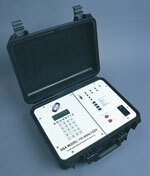 The DSA-110 analyzer is a portable version of the DSA-100. The DSA-110 measures components of the dissolved contaminants in the process streams without any costly and time-consuming laboratory methods. The DSA-110 provides rapid measurement of dissolved solids descriptors including conductivity, UV absorbance, organic dissolved solids and total dissolved solids. This portable instrument has data-logging capabilities that may be accessed through the instrument menu and display or through a windows interface program. Samples may be injected for discrete samples or continuous particle-free samples may be piped directly into the instrument for short-term (<1 day) on-line measurement. 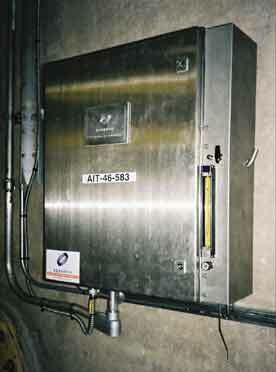 A unique patented continuous on-line monitoring instrument, the Dissolved Solids Analyzer, is now available to the pulp and paper industry. Using a proprietary method of combining UV and conductivity measurements, Aquantix has developed an accurate instrument to measure the total, organic and inorganic dissolved solids in industrial process water and white water streams. The Dissolved Solids Analyzer directly measures components in the process water as well as their related interactions in real time. By performing sophisticated measurements, the Dissolved Solids Analyzer targets the problem, quickly and easily, allowing you to take the proper control action. The results are improvements in wet-end related paper breaks, chemical costs, product quality and overall greater profitability.